John Shufeldt is one of the most accomplished individuals I’ve ever met. He’s a practicing emergency room doctor, a practicing attorney, the Phoenix PD SWAT team medical director, the author of multiple books on the Ingredients of Outliers, an adjunct professor at ASU’s law school, the founder and CEO of MeMD, a pilot, a guitar player, and a recent TEDx speaker – and this is just a partial list. In this mesmerizing interview, we talk about life growing up as an adopted child, the 2 character traits that have come to define his life, what it’s like to save a life and, on the flipside, what it’s like to watch someone pass away. 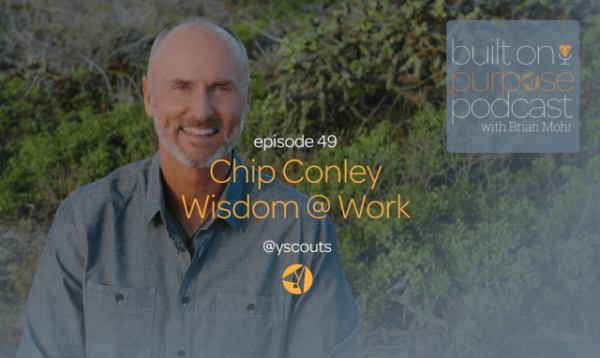 We discuss his drive for constant knowledge acquisition, and the power of humility. I know you’ll agree with me after listening to this interview, for someone who’s accomplished so much, John is one of the most down-to-earth and kind individuals you’ll ever meet. And perhaps the most exciting part of this interview is our discussion around the right questions we need to be asking ourselves every day in order to live the meaningful lives we can. I’m thrilled to bring you this fantastic interview with John Shufeldt! 23:18 – Where does John’s enjoyment come from? 38:28 – Is empathy being lost among medical leaders? Clearly this theme of relentless learning is something that you live. I want to rattle off a number of your accomplishments from a learning perspective. BA in sociology and criminology from Drake University. MD from The Chicago Medical School. You did your emergency medicine residency at Christ Hospital and Medical Center, where you were Chief Resident. You then went on to get your MBA from Arizona State. You then went on to get a JD from ASU. And if that’s not enough, you then went on to get a Six Sigma black belt from ASU. And, I’m just going to call this some other stuff, you’ve authored a series called the Outliers series, you are a pilot, you are the Phoenix Police Department SWAT team medical director, and on the side, I hear you’re one helluva guitar player. I know I’ve left some things out. What role has learning played for you, and how has it taken such a central role in your life? First, let me make a couple corrections. I literally know three songs on the guitar. Hotel California is my best, and I don’t think any of the members of the Eagles would even recognize it as Hotel California if I played it. I look at a problem and say, “Holy cow, how was I not seeing this for what it could be? How was I not seeing this as an opportunity as opposed to a problem?” It’s this new set of glasses with a new perspective and new ways to analyze an old problem. For me, that’s really been the most enjoyable aspect of this. I try to go back to school every 10 years. I always look forward to it. Believe me, there are times when it is a little bit much. But 95% of the time, I just love it. I look forward to the next adventure. Given all that you have going on, how do you balance everything? To get that other 5% is generally unnecessary. Often there’s no return on investment. I kind of approach a lot of things like that. I almost describe myself as wide and shallow. I know a little bit about a fair amount of subjects. Which I like and really fits my personality. When I say, ‘strive for mediocrity’, I don’t feel like I have to be the absolute subject matter authority in anything, but if I have a moderately good perspective with a good understanding of something, that’s what I need to get out of it. As opposed to being the top person in the country on some nuance that for me I’ll probably never have a return on investment on. What have you learned about the will and determination of patients in practicing emergency medicine? I think the biggest thing is that great people can come in incredibly unassuming and diminutive packages. The other thing I learned early was this perspective that I started calling the “if only look.” Occasionally – and unfortunately – I’ll be the last person people see before they die. I noticed a few times early on that sometimes people have this indescribable, wistful, deep sad look on their face. I started thinking, “what is this look?” I interpreted this as the knowledge that they were dying with an unfulfilled life where they did not take advantage of their God given talents and attributes. I saw this poster recently that the definition of hell is the person you are meets the person you could have become on your deathbed.